How can organizations worldwide make sure that they work as efficiently and sustainable as possible with their limited budgets? The answer lies in Capacity Development. This Learning Path teaches the core components of vital business and leadership skills, designed to introduce learners to the principles of strategic management, developing organizational culture, project management, human resources and business communications. In today’s difficult economic times businesses and organizations are busy trying to just carve a niche for themselves in the market place. Many business leaders and managers lack the time, finance or motivation to consider developing and maintaining a work place culture. In this course Andy Freire, co-founder and CEO of Axialent, discusses the five archetypes of culture within an organization and why they are important to develop and grow in any business or organization. These five cultural archetypes are: Customer-focused culture; One-team culture; Innovation culture; Achievement culture; and People-first culture. He explains that it’s not possible to implement all five at the same time but any business leader or manager can start by outlining how important organizational culture is for both their business and employees and build the five archetypes one by one. You will also learn the key values for each of the five archetypes of organizational culture. This course will be of great interest to business leaders and managers who are growing a business or organization and who want to develop and grow a workplace culture that will benefit both their employees and customers. 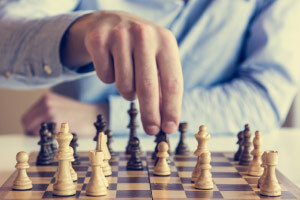 This course covers strategic management concepts and how they are utilized by the top management of organizations to achieve their major goals. First, the course covers how a mission statement can be used to focus of an organization’s efforts. Next, you will learn about the decision-making process involved in strategic management and how a strategic plan can be used in the long-term decision-making considerations of organizations. You will then learn about crucial strategic management steps, from forming a mission to specifying objectives of the organization. The course will then go through important topics including strategic competitiveness, strategic risk, and strategic flexibility, to name a few. By the end of the course, you will be able to describe the role of each component of the 7-S Framework. You will also be able to define strategic implementation and understand who carries out the strategic plan within the organization. This can benefit those who plan to run a business or those who are in top management positions. This simple and easy to follow course is ideal for those who don’t have a background in strategic management. By the end of the course, you will have gained the confidence to make and implement important decisions benefiting the overall performance of your organization. So get started, and give your strategic management a strong boost today. Being an entrepreneur requires a great sense of responsibility and an awareness of what your main priorities should be. This course will begin by teaching you the three critical duties of a business owner. The course will then cover the three main types of organizations business leaders deal with, namely the sole proprietorship, partnership, and corporations. You will also learn about the four stages of organizational growth, how to recruit employees, how to conduct an interview, and why you should treat employees as assets. Once a team of employees has been built, a good entrepreneur needs to manage them efficiently. With this course, you will learn the importance of staff training and appraisal as well as how to give and receive feedback. 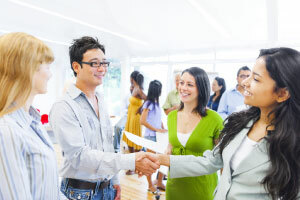 Do you know how to determine employee salaries? Don't worry. This course will teach you the four steps in determining staff pay. You will also learn the four disciplines of business ethics as well as the most important corporate responsibilities. They say that the difference between a boss and a leader is that a boss says "Go!" while a leader says "Let's go!" With this course, you will learn everything you need to know to become a successful and effective entrepreneur with a team that will follow your lead. These leadership skills will not only help you grow, but your employees as well. So, check out the course and start climbing the ladder to success! Human resources (HR) plays a key role in modern organizations and businesses, be they private sector, public sector or voluntary. This human resources diploma course covers diverse topics in HR, from the role of the human resources manager and how to recruit, select, train and assess employees, to employee motivation, employee-employer relations, and how to manage change within an organization. 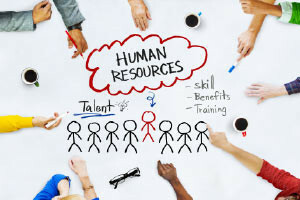 Alison's Diploma in Human Resources course gives a thorough knowledge and understanding of the important role HR plays in organizations, and will be of great interest to HR business professionals as well as those who are pursuing a career in this area. Modern Project Management - Working with Clients and Project Teams is the second in a series of courses designed for anyone who wants to learn about best practices in contemporary project management. 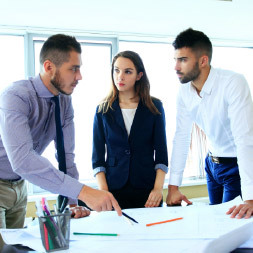 As projects become more complex and clients' expectations increase Project Managers need to shift emphasis from managing the tasks to taking a leadership role. This involves getting a good understanding of what the client really expects – not just the technical scope – but also how decisions are reached, how information is communicated, and how and why changes are made to the project plans. The Project Manager also needs to motivate and engage the members of the project team and keep all the other stakeholders on board. This course is broken down into three key areas: understanding and meeting the client’s expectations, working with the project team members and using the relevant communications and software to keep track of the project information. Using the Project Management Institute's Book of Knowledge along with other core theory this course shows how to engage the client appropriately from the start of the project, to resolving issues that may arise through to celebrating key achievements. 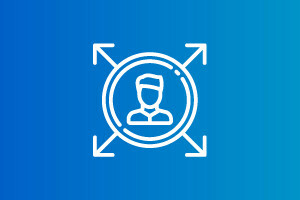 It also looks at the role of personality types both in terms of the Project Manager's own leadership style, and how to define the roles of project team members and to identify team members who are suitable for those roles. It explains the different types of project teams and how to manage effective team meetings. Learners will also be introduced to the technical communications involved in sharing knowledge within the project team and they will get an overview of the types of software used for project management at differing levels of complexity. This course will be of great interest to all professionals working in the area of project management or those who have become involved in a work project or learners who just want to be able to manage personal projects more effectively. The course will first guide you through the planning process and essential elements of a business document. You will learn the Principles of Written Communication, showing you how to write clearly and how to choose a writing style. Next, you will learn key communication skills for team meetings, including the purpose statement, topic transition, and how to encourage positive contributions and successful conclusions. You will then learn how to plan effective presentations. This section will cover engagement and public speaking techniques, including how to overcome common obstacles in public speaking. Finally, the course introduces you to the importance of cross-cultural communication. As part of this section you will learn specific business communication skills that are helpful for international assignments and when you are based abroad. With communication being so important to career progress, it’s worth putting in a little time to get it right. This free course can deliver decades of improvement to your career, and also just a sense of confidence in the workplace. Being able to speak well can really make your day easier and save you a lot of time repeating yourself or clarifying your presentations. So go on, invest that time now and collect the rewards before you know it. Great business communication skills are just a few hours away. Successfully complete all of these courses to receive a Capacity Development Learning Path Award.